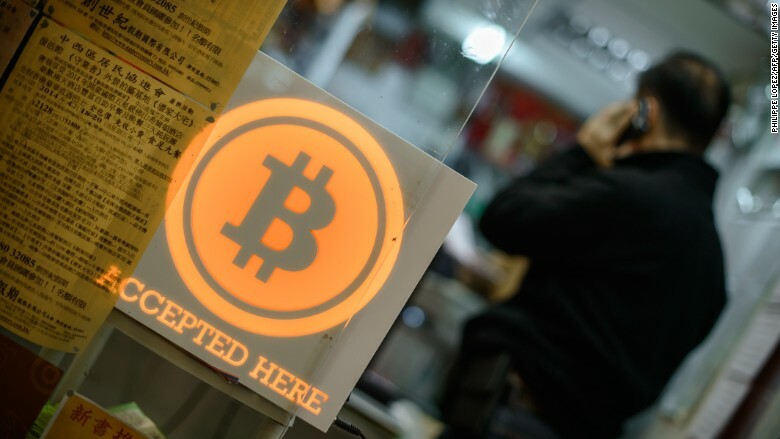 China's central bank is mulling plans to launch its own digital currency as soon as possible. The People's Bank of China said it has been studying digital currencies since 2014 and reviewing what implementation would look like. But in a statement posted on its website this week, the bank didn't give a specific timeframe for when such a currency could become a reality, nor did it say how it would work in relation to its paper currency, the yuan. Issuing digital money could help "reduce the high costs of circulating traditional currencies ... boost the convenience and transparency of transactions, reduce money laundering, tax evasion and other criminal acts," according to the statement, which summarized the findings of a special meeting on the subject in Beijing this week. Digital currencies have been in the spotlight with the rise of Bitcoin in recent years. Created in 2009 by an unknown person using an alias, Bitcoin allows transactions to be made without any middle men (read: no banks!). They're mined by computers -- and while there's no need to reveal your real identity, transactions are still recorded digitally. That's given way to arguments on both sides of the aisle: Some critics say that it could help mask illicit activity, while others champion the digital trail as a way to improve transparency. Despite the controversy, Bitcoin has caught on big in China, which houses one of the world's largest Bitcoin exchanges, BTCChina. Chinese regulators have largely taken a hands-off approach so far. Launching its own digital currency could help China stem and track the massive capital outflows that it's been dealing with recently. Roughly $676 billion is estimated to have left the country last year, with about one-third of that fleeing via back-door channels to circumvent the country's strict capital controls, according to the Institute of International Finance. Many investors have been moving money out of China as the value of the yuan has fallen amid an economic slowdown and financial market turmoil. A digital currency could "enhance the central bank's control of money supply and circulation," the bank's statement said. Despite Bitcoin's volatile price swings -- and even an alleged embezzlement scandal -- some governments and institutions have taken a keen interest in virtual currencies or the technology behind them. Last year, Ecuador became the first country to start using a digital currency. And in May 2015, the Nasdaq stock exchange tapped Bitcoin's powerful transaction technology to create a more secure, efficient system to trade stocks. The technology that powers the Bitcoin system, known as blockchain, is a computer program that automatically processes transactions and creates a perfect, reliable digital record -- a move in the right direction for more transparency.